Welcome to 2017! 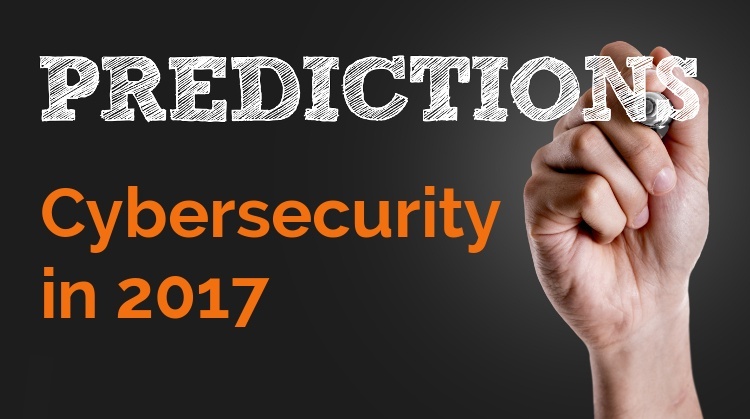 What should we expect in cybersecurity in 2017? Our final post of cybersecurity predictions is from Adrian Asher, CISO for the London Stock Exchange Group and Morphisec Advisory Board member. He looks at upcoming developments in several key cybersecurity areas and offers some suggestions for moving forward. Much of large enterprise security has for many years now continued to look to demonstrate compliance as opposed to better protect. Of course often they overlap, but I believe in 2017 there will be a greater focus on ensuring security as opposed to demonstrating compliance. This will bring a renewed focus on defense in depth approaches as we look to strengthen at all layers and not just at the perimeter. Indeed the new perimeter has been around individual pieces of data for some time, but many have not accepted this. Innovative new technology such as Moving Target Defense will play a key part in this and organizations large and small would be wise to not just continue to blindly follow a brand, but to look in ways they can embrace technology and leave outdated models behind. Current infrastructure and applications are too inflexible, so ways in which architectures and processes can become flexible and agile to be able to adapt and react quickly, in the face of either the evolving threat landscape or actual attacks. As finally large enterprises are embracing the cloud, they will stumble. If you look at the litany of cloud native companies that have had major public security breaches in their humble beginnings, then it is likely that as organizations look to save costs and use the cloud in an IAAS focused way, they too will crack. The smarter enterprise will be the one that looks not to use the cloud as a way to save costs and only sees it purely as a different sort of out sourcing of a virtual server; but as an opportunity to step back and re-design and re-build new modern applications that are cloud native. They should be doing this irrelevant if they are going to use a public, private or hybrid cloud, but many are not. Event Driven Code Execution. As the concept of server-less compute continues to grow, whereby a piece of code is only instantiated in response to an event, new security patterns for protecting this new architecture will be required. Coupled with this will be the need for people focused solely on patching and maintaining monolithic infrastructure to retrain and focus further up the application stack. The words “NextGen” and “Evolving Threat Landscape” will be used far too often. I also foresee the emergence of new buzz words. We’ve had mobile, agile, cloud, big data, AI/Machine learning and most recently block chain. So I feel we are due.